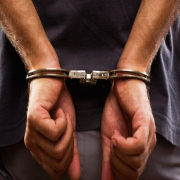 If you have been charged with the crime of assault, we can help today. The crime of assault includes battery as well. Verbal threats, as well as physical contact, are both included in the same law. The threat of force or the use of force on another person that causes fear of imminent harmful contact is the traditional definition. Battery is defined as unlawful, harmful touching of another person. There does not have to be a threat, nor does the victim have to feel fear to prove battery. Battery can be committed even if the victim is unaware of the contact and suffers no actual injury from the contact. It does not include contact that is normal and reasonable in everyday life. Under state law, assault is broken down in various degrees depending on the type of threat or contact and whether the victim suffered an injury. We at McFadden Law LLC understand the severity of these charges and will relentlessly defend your case. You can depend on me when your good name and freedom are at stake. You do not have to go to court or face a prosecutor alone. McFadden Law LLC is on your side. Protect your rights. Call for a FREE initial consultation today 410-742-7100.